Here's a fun little project for snowman collectors! 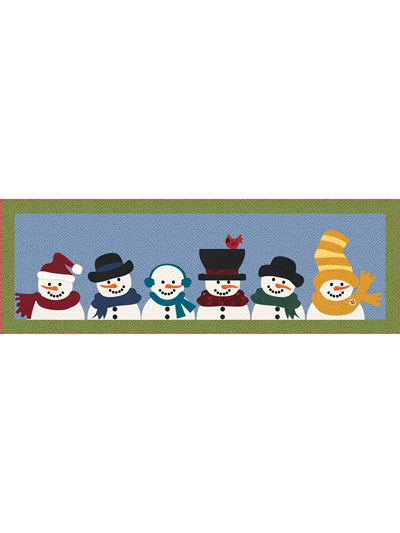 Have fun dressing up these 6 little applique snowmen all bundled up for a day in the snow, and display them as a table runner or as a wall hanging! Finished size: 45" x 15".